Pink Thing of The Day: Pink Flamingo Beach Balls! Summer is now in full swing, and what better way to celebrate summer than with a beach-themed Pink Thing of the Day! 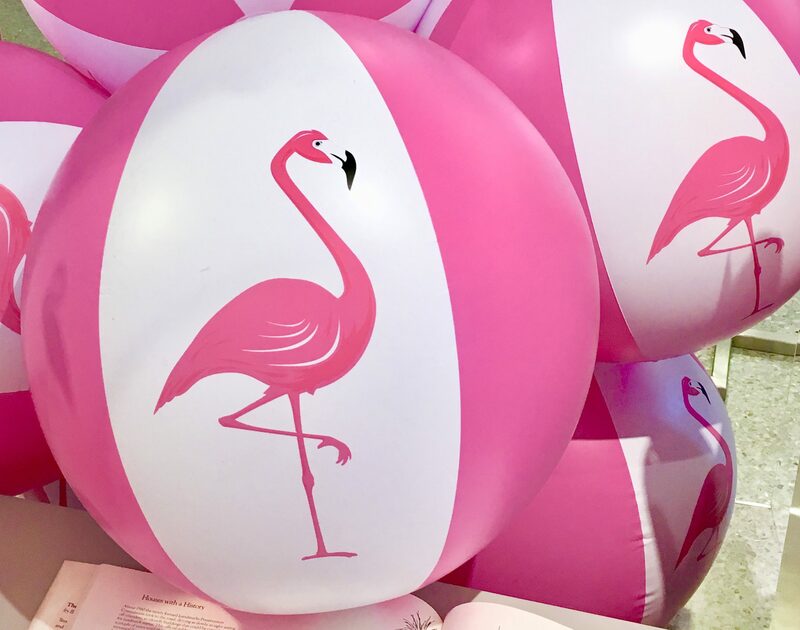 These eye-catching Pink and White Striped Beach Balls, each emblazoned with the image of a Pink Flamingo, where spotted as part of a fashion clothing display at Bergdorf Goodman on Fifth Avenue in NYC!